Palm leaf tableware are typically used in special events like historical reenactments, for packaging dried foods, baked goods, cheeses, and in all those cases where you want the service is truly unique. The palm leaf comes off naturally from the tree during the life cycle, is processed to become the final product, each piece is finished by hand one by one. 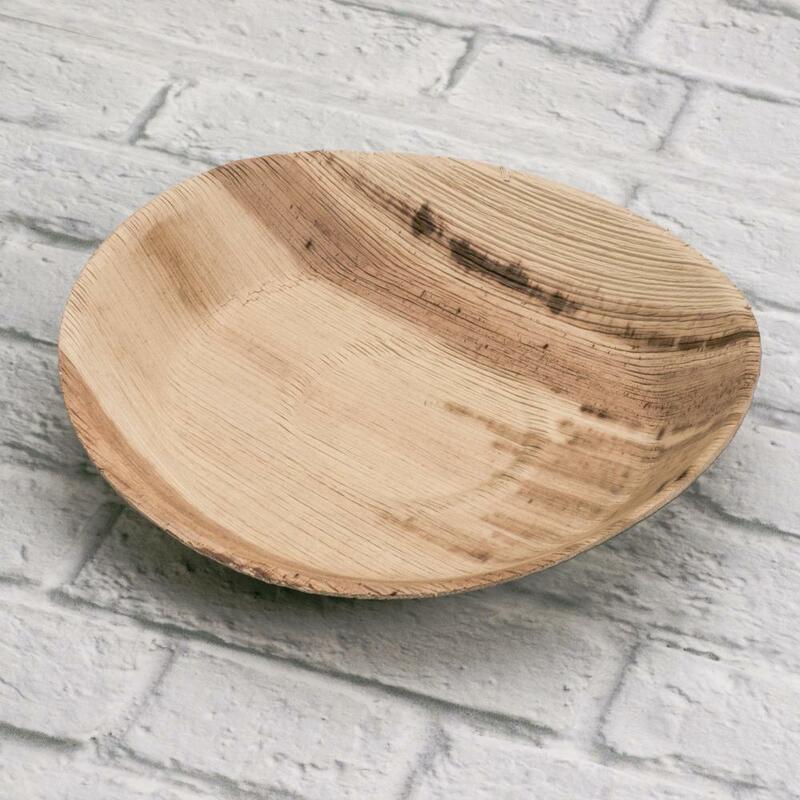 Tableware made with palm leaf are heat resistant and can be used for a short period in a microwave or in a traditional oven, just for the time needed to heat the food, not for cooking. Suitable for contact with any type of food as required by UE and international regulations. Suitable to contain liquid food. Considered a disposable products, they are 100% biodegradable and compostable according to the EN13432. The proper disposal of this environmentally friendly product, for sale on Ecobioshopping, is in the organic waste. If dispersed into the environment by mistake, it degrades naturally without a trace. With dry food you can reuse them more than once.